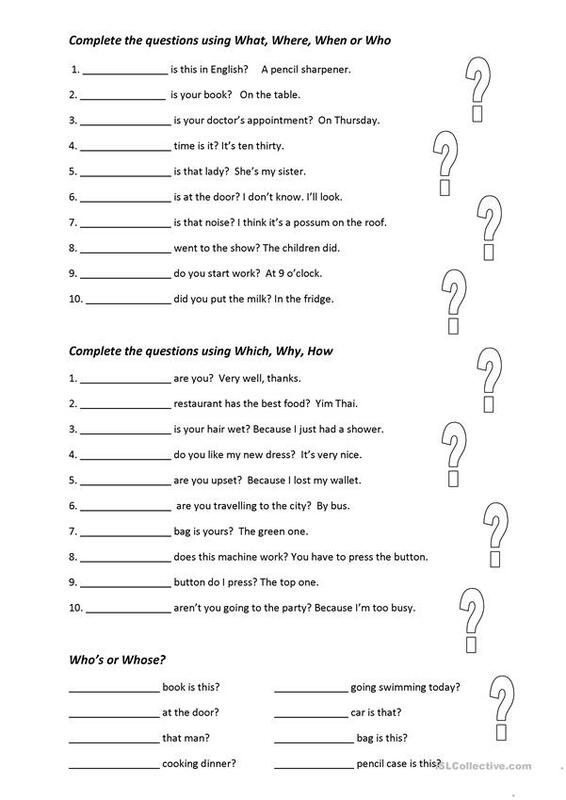 A worksheet to practise using question words. Good for revision after these have been learned. Includes whose, who's. 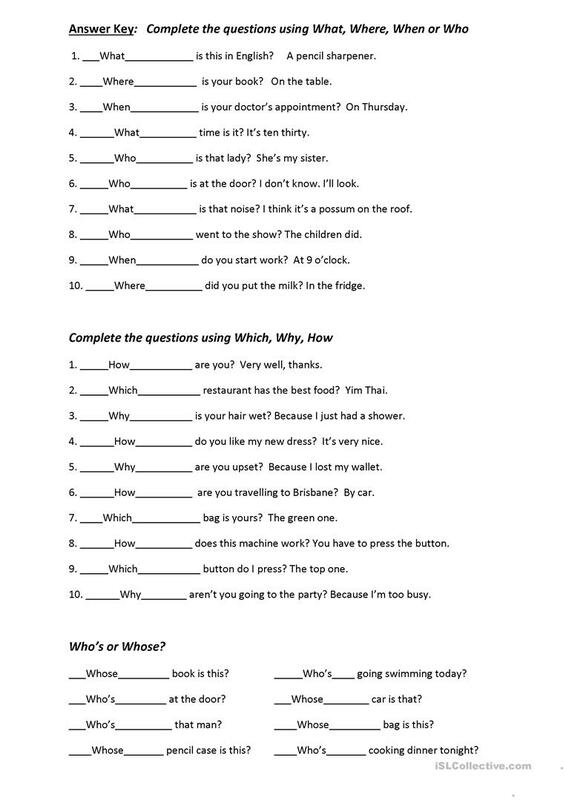 The present downloadable worksheet is a great resource for high school students, elementary school students and adults at Elementary (A1) and Pre-intermediate (A2) level. It is valuable for teaching Questions in English, and is excellent for improving your students' Writing skills. The exercises come with a key.